Next week is going to be a week to remember here on the Benshi with TWO interviews about storytelling. On Monday I’ll post my interview with Doug Stevenson, who is based in Colorado and runs workshops around the country on the subject of storytelling for the business community. I came across his website just a couple weeks ago, got in touch, and he turned out to be an excellent spokesman for the subject of the power and value of storytelling. In fact, a lot of science folks ask me for advice on how to learn more about the practical use of storytelling. There are lots of books, but you might take a good look at Doug’s website as he provides a more practical perspective on the use storytelling in communication. 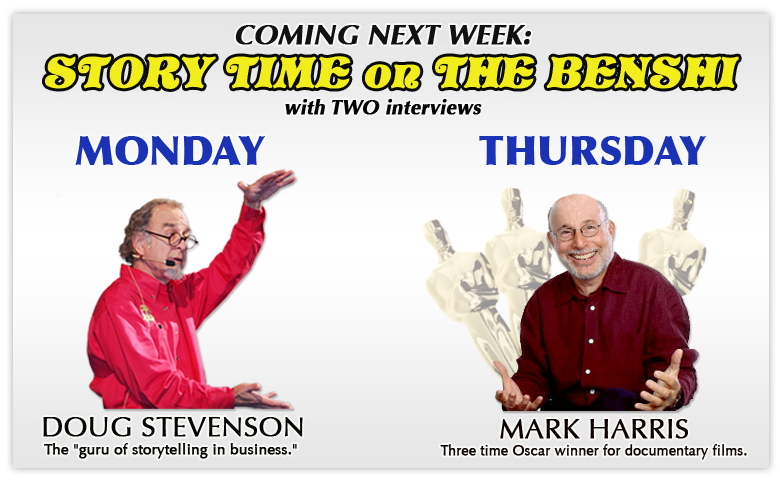 Then on Thursday I’ll post my interview with Mark Jonathan Harris, three time Oscar winner for documentary filmmaking. Mark was the head of the Graduate Production program at USC when I was there in the mid-90’s. He’s a wonderful man, as you might guess from the incredible quality of his work. 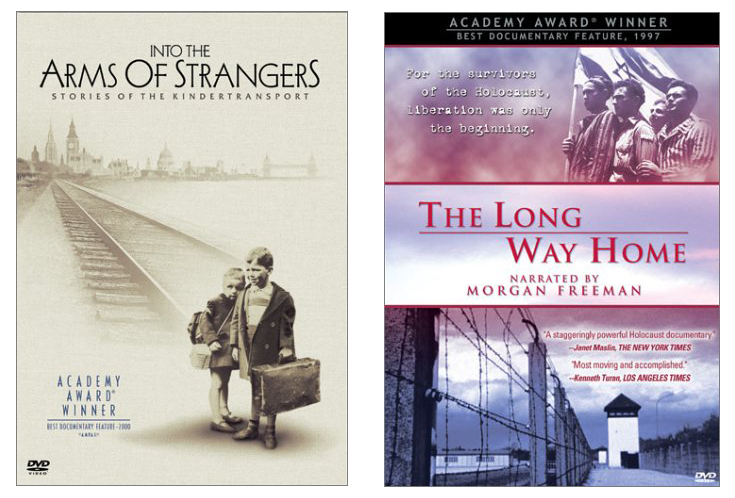 If you haven’t seen his two Oscar winning features about the Holocaust — “The Long Journey Home” (1998) and “Into the Arms of Strangers” (2000) — you really should rent them this weekend — and actually, both are available for immediate PLAY on Netflix (I never realized until a few weeks ago that some movies on Netflix allow you to PLAY them immediately and for FREE on your computer — as is the case with these two). Watching his movies will make the interview with him even more interesting to read. Two amazing feature documentaries from Mark Harris that more or less present the "alpha and omega" of The Holocaust experience. "Into the Arms of Strangers" is about the evacuation of 10,000 Jewish children to Britain before World War II to avoid the Holocaust. "The Long Way Home" presents the plight of Jewish refugees in Europe after World War II. Both are about as good as documentary filmmaking gets. And both won the Academy Award.